Cape Town - Bidvest Wits and University of Pretoria will meet for their first Nedbank Cup match when they clash at the Bidvest Stadium. It will be the first official cup match in the ‘Varsity Derby’, though the teams have become accustomed to facing each other in PSL league action over the past three seasons. Four of their six league matches have ended all-square, so extra time and a penalty shootout could well be on the cards and coaches Gavin Hunt and Sammy Troughton will do well to get some spot-kick practice going ahead of the match. The only two victories have both gone the way of the Clever Boys – 2-1 away from home in the second half of the 2012/13 season and 1-0 at home in the first half of the following campaign. The teams’ two league matches this season both ended in draws. Goals from Henrico Botes and Atusaye Nyondo saw the teams draw 1-1 in Johannesburg back in August 2014, while the return match in Tshwane in December ended goalless. 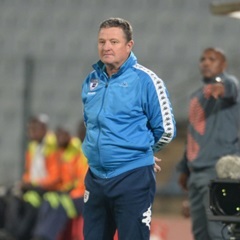 Both teams overcame PSL opposition to reach this stage of the Nedbank Cup – Wits beat Free State Stars on penalties after a goalless draw, while Tuks defeated Moroka Swallows 2-1. The Clever Boys come into the match having suffered back-to-back league defeats against Bloemfontein Celtic and AmaZulu in recent times, while it’s the same story for AmaTuks, who have lost their last two league matches against Platinum Stars and SuperSport United. Kick-off at 19:30 on Tuesday, March 17.